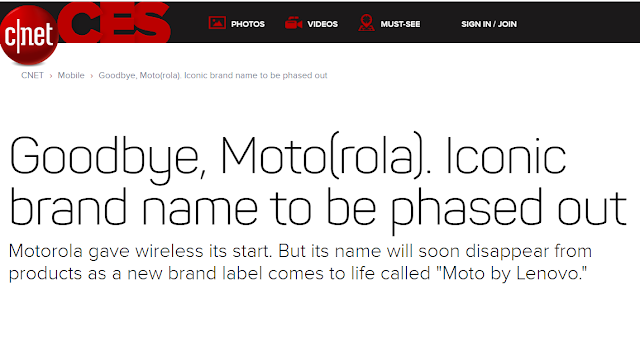 Motorola in 2016: Is it Moto, or is it Rola? Does it matter? 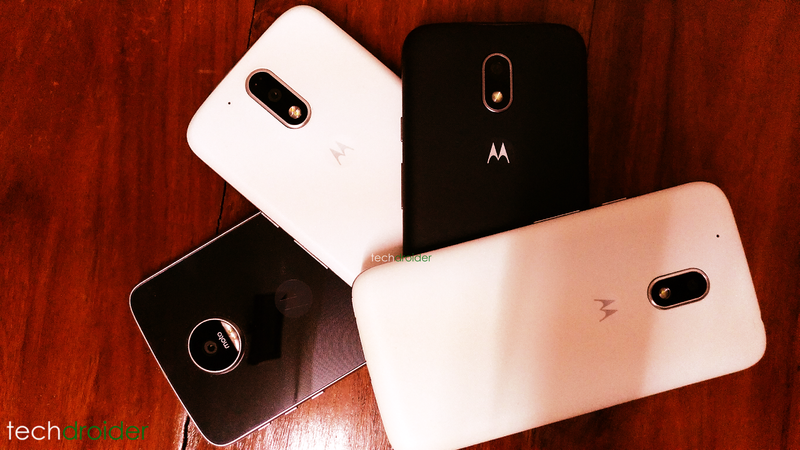 No one can deny this year started like crap for Motorola fans. In fact, the first half of 2016 might go down as the worst months we went through. However, the second half of the year makes it up for all those horrible feelings we had. In a series of editorials, I will cover everything 2016 brought and left behind for Motorola. Last January at CES, Rick Osterloh said they were "facing out Motorola". Those three damn words caused a mess inside Motorola, Lenovo, the fans, and the tech sites. Lenovo did not have any statement to cover that and neither did Motorola. In fact, they quickly had to release two statements, but none of them were effective. The truth is that it was never meant to be an announcement. If Osterloh hadn't opened his mouth then the transition would have felt natural. It wouldn't have been different from what we saw last year (the Moto brand has been around since 2002), except for a couple Lenovo logos on boot animations and a little corner of the phone's packaging. The problem was that everything Motorola did in 2016 would be under the magnifying glass of the fans and many tech sites because of this. The situation was a mess. Tech sites would milk the drama, regular customers would jump to social media to criticize Lenovo and mourn about the loss of their beloved brand, while the fans were stuck in the middle, without knowing if we could hold onto something or if we had to believe everything. Knowing how big of a fan I am, Motorola immediately sent me the press statement before everyone else got it, but I was still very doubtful and sad. I wanted these sites to stop talking about it. In the following weeks I started doing lots of research about it. I read Motorola, Inc.'s separation papers (took 3 hours to read), I got to know the brand licensees, and I also spent hours trying to convince tech sites that Motorola wasn't dead. I also started bombarding Motorola and Lenovo employees with questions. Most answers were elusive. That was until David Roman, Lenovo's CMO, replied. His answer was short but helped me understand things. He talked about the strength of the Moto brand and how they never meant Motorola was going to be killed off. His reply meant a lot to me, because it came from a top position and it showed they really cared about this and wanted to clarify things. Then we got to see this year's Moto portfolio. All the phones were solid, and they didn't differ much from last year's products in terms of branding. Plus, the products did show the full Motorola brand name in many parts. I was quite upset with the visual identity from early 2016, though. I was never too keen on the approach to the new "Moto" logo and how the batwing logo was attached to the "(M)Moto" word earlier this year. It felt like people were forced to call it Moto, as if the Motorola logo was just a decoration item. These visuals didn't ease the fans' concerns at all, and it was even worse when we found out the Moto G4 and the Moto Z didn't come with the iconic batwing on power-on animations. Then Jan Huckfeldt became Motorola's CMO and this was changed. 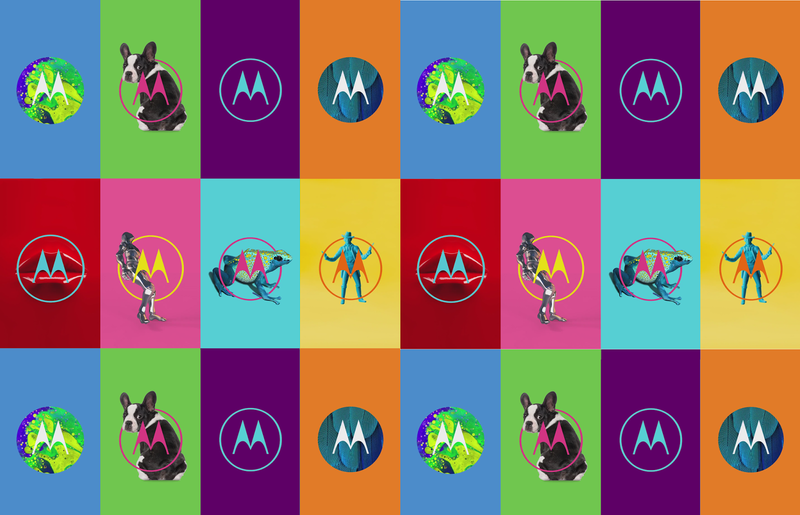 Both Lenovo and Motorola logos are now shown everywhere, while the batwing takes a central role (no longer attached to the "Moto" word), allowing users to call it Motorola, Moto, Lenovo Moto or Lenorola. It was a clever way to strengthen brand image and make the fans happy once again. They understood that the Motorola logo can be -if it isn't already- like the Apple logo. Apple doesn't write "Apple" all over their products. They just place their logo everywhere. That's what Motorola is doing now. The new visuals quickly evolved to get the batwing playful, colorful and fun. They listened to some fan complaints and some weeks later the batwing was brought back to boot animations! All these awesome changes helped me understand that my biggest concerns throughout the year weren't because of what was announced back in January. 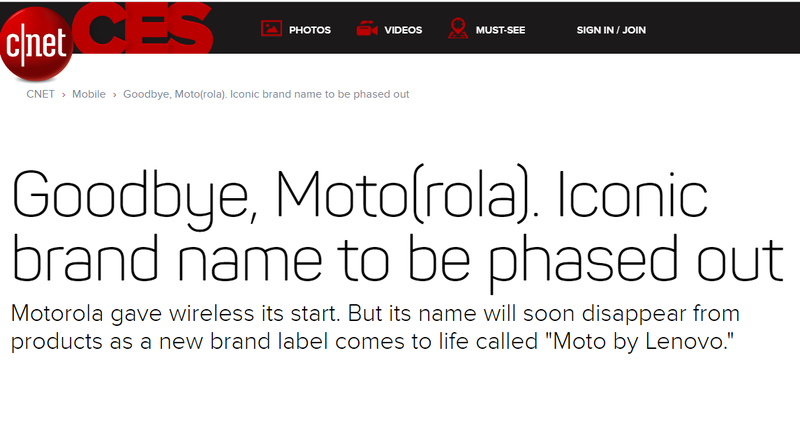 It was due to the way the brand was being shown, and after these changes and resurrection of some iconic brand items (Hellomoto), I know Moto is at a great place. With the new visuals, Lenovo listened to the fans and proved everyone wrong. They aren't killing Motorola Mobility or the Motorola brand. We already know Motorola Mobility is still here, but they are giving us the power to call it whatever we want, so it doesn't matter what was said or announced back then. YOU have the power to choose how to call Moto from now on. I can certainly say that the second half of the year was one of the best times to be a fan since becoming a fan ten years ago.